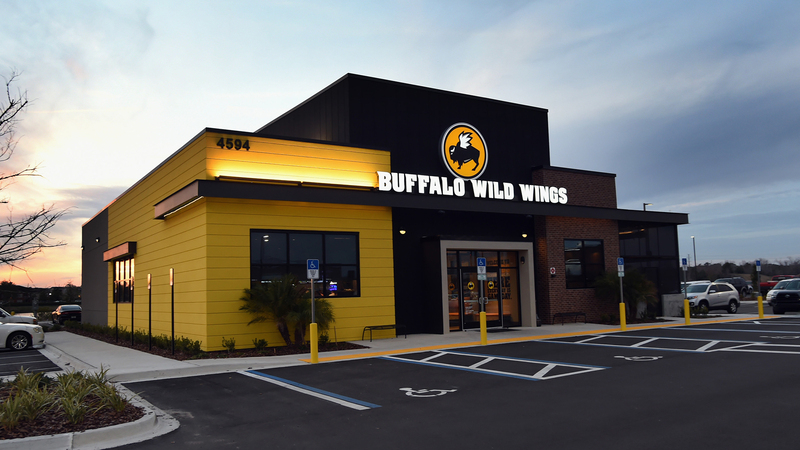 It seems like the only thing more closely associated with the Super Bowl than football itself is chicken wings, and Buffalo Wild Wings is making most of this timeless union with a new promotion that could result in everyone in America getting free wings. Even those of us who don’t exactly follow football can get excited for a chance like this! Last year, it’s estimated that Americans ate their way through 1.35 billion (billion!) chicken wings during the Super Bowl. This year, if the game goes into overtime, Buffalo Wild Wings will extend our passion for the spicy, savory bites through February by giving away free snack-size orders of Buffalo wings on Feb. 18. A snack-size order includes five bone-in wings or eight boneless wings in the flavor of your choice, and there will be a limit of one order per person. Unless you own a bunch of disguises and think you can con your way into a few extra… not that we’d condone that behavior or anything. There is a catch. It turns out it’s extremely rare for a Super Bowl game to go into overtime. In fact, it’s only happened once, in 2017, when the Patriots and the Falcons were fighting for the championship. This year, the Super Bowl will feature the Patriots again, now facing the Rams, so that might increase the odds. Giving us even more hope for an overtime game is the fact that 17 NFL games went into overtime this season. If the Pats and Rams can continue that momentum, we could all be feasting later in the month. If you want to take advantage of the free wing deal from Buffalo Wild Wings, all you’ve got to do is watch the Super Bowl to see if it goes into overtime. If it does, get ready to wait in line at your local BWW on Feb. 18 between 4 p.m. and 7 p.m., which is when they’ll redeem everyone’s prize. Of course, if you can’t stand waiting to see what happens, you could always try making one of these 34 chicken wing recipes at home.